95 Central Avenue China Grove, NC. | MLS# 3457129 | Kannapolis Homes for Sale, Property Search in Kannapolis. An absolute gem with a sought after China Grove address on a beautiful lot, this home shines! Completely remodeled with a new roof with 30 year architectural shingles, new gutters and new siding outside. Inside, find gorgeous new floors, paint, new kitchen featuring granite counters and white shaker cabinets with soft close drawers, plus beautiful new bathrooms! 10 foot ceilings throughout and a new water heater. 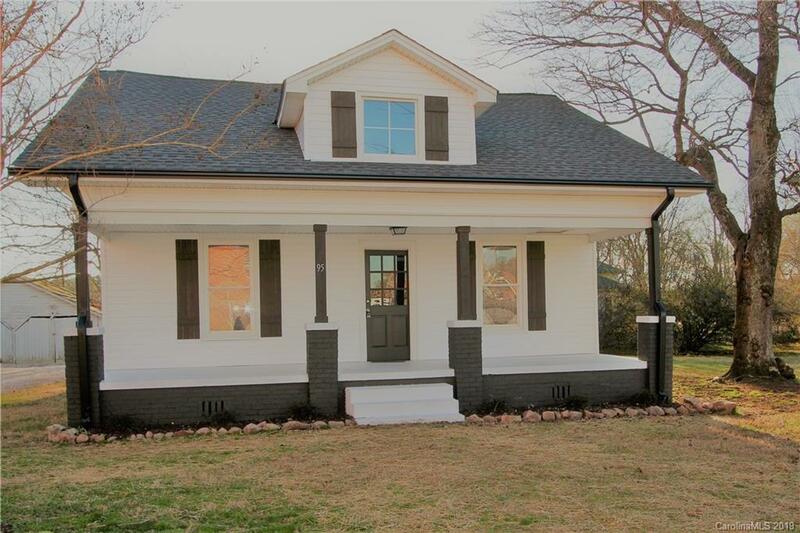 Loaded with character and charm, enjoy relaxing on the wide front porch and admire the fresh landscaping. The updated back deck overlooks a private back yard. Large double driveway has new white gravel and a detached 1 car garage.